Champions of the final round of the BNT NZ SuperTourers endurance series have been announced as Shane Van Gisbergen and Simon Evans. The pair claimed their first V8 titles at Pukekohe over the weekend of November 29–30, 2014. “That’s my first championship since Formula Ford, though I did win the international series of the Toyota Racing Series — I’m pretty excited about it,” Van Gisbergen said after a particularly difficult victory at the Fuchs 500 meeting. However, the race three victory of the Smeg Holden team is being disputed by other teams, claiming that during the pit stop the outfit had one too many people working on the car. The incident is currently being reviewed by race stewards. 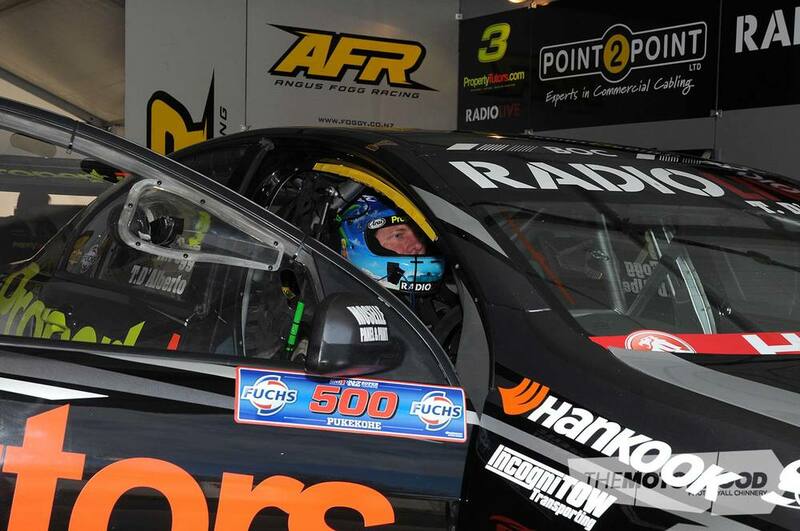 The race itself concluded in a totally dominant championship victory as Van Gisbergen and his old friend Evans won seven of the nine races during the three-round series in their Smeg Commodore. But the final race was terribly fraught. It started dry then turned to rain, forcing the cars to stop and change to wet-weather tyres, and later the track dried out again. “I made the call then to pit for slicks — I could see that Greg Murphy was fast on his slicks and I saw the rain go past,” Van Gisbergen said. His weather forecasting proved accurate as the rain stayed away and the track steadily dried out. Coming out of the pits after the time-consuming pit stop, Van Gisbergen was more than a lap behind leader Tim Edgell, also in a Commodore, with 20 laps to go. As the track dried out Van Gisbergen scythed through the field and hit the lead with a few laps to go. “That was a lot of fun but it was pretty tough,” he said. Despite the investigation, Evans feels he has proved himself and is now looking to Australia to further his career. “I’d love to race in the Dunlop V8 Supercars Development Series and get the experience of different cars and different teams, but it’s just finding the money,” he said. The 2014–’15 BNT NZ SuperTourers championship continues with four sprint-race meetings in the early part of next year.